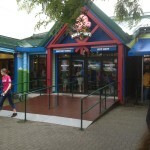 Ben & Jerry's Factory - Waterbury, VT - Take a day trip! 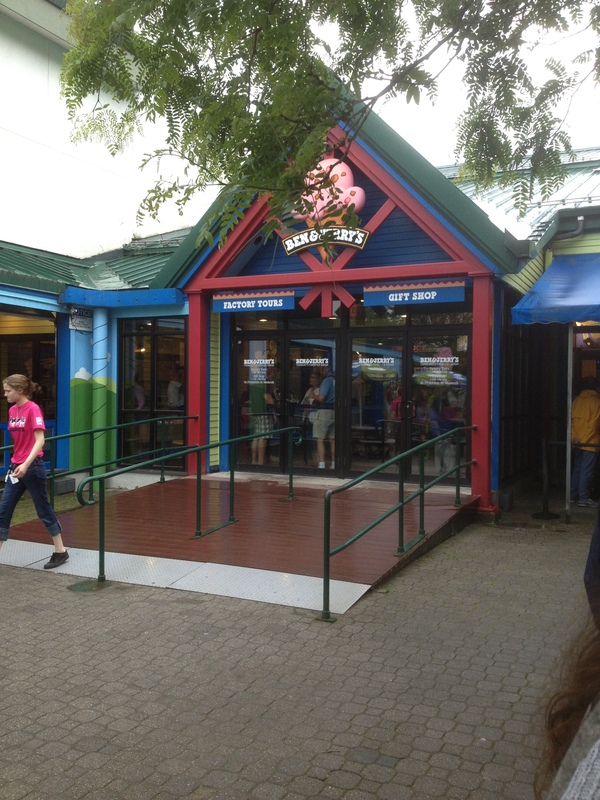 Ben & Jerry’s Tour and Gift Shop entrance. Jerry’s experience all wrapped in one great spot. Your visit can include a tour, scoop shop, outdoor activities and a great gift shop. They also have cows out in the warmer months and you can take a walk through the ‘flavor graveyard’ and see all of the flavors that have been retired. There are bathrooms, a scoop show, entertainment in the warm weather and other things to do. The tour costs $4 for an adult however there are often discounts running for various reasons or on some social networks that are worth checking (Yelp, Foursquare, etc). Tours run daily except for Thanksgiving, Christmas and New Year’s Day. For more information check out their factory tour website or give them a call at (802) 882-1240.